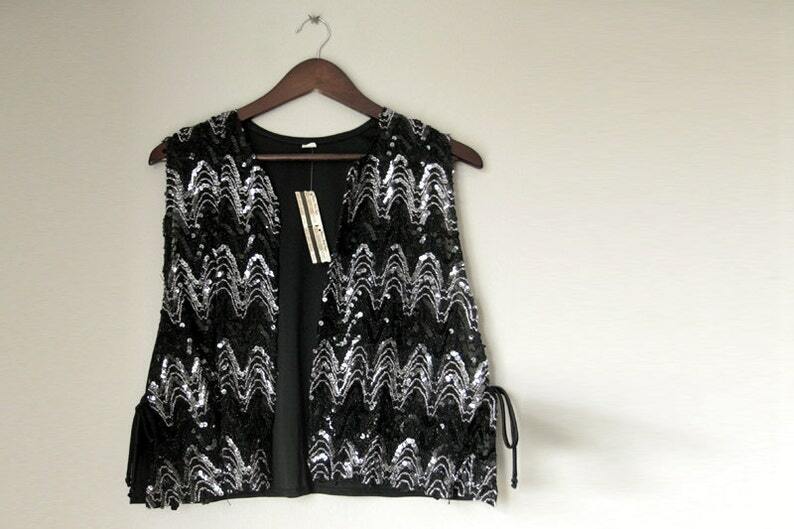 A plus sized womens vest sequenced in black and silver with side ties for adjustable sizing. This vest is terrific fun and very flashy. Please contact me if you have any questions. I'm happy to give any measurements you may need and do my best to answer any other questions you may have. SHIPPING NOTE: I will refund shipping charge overages of over $1 or more.